Known for their high energy live shows, The Mighty Breaks' weapons of choice are fuzzy guitars and the, for a garage band, unusual addition of saxophone. All five band members sing, giving each track a different feel. The Mighty Breaks’ garage pop/90’s alternative sound is inspired by artists like Guided By Voices, The Jesus and Mary Chain and The Dandy Warhols. The Mighty Breaks released their self-titled debut EP on UK/NL based label Mink Records last year and subsequently toured the Netherlands and Italy. The past few months the band has focused on developing its sound and experimenting in a studio setting, and finally recording with Tijmen van Wageningen and Domenico Mangione at Basement Studio in The Hague. Single ‘Faking Chasing’ (16/5) provided a first taste of the new material, released digitally and accompanied by a video premiered at Noisey. The track was featured in Spotify’s 'Fresh Finds: Six Strings', 'New Alternative' and 'Independent Music Monday’. The band was tipped by blogs like UK’s Drowned in Sound, Japan’s Niche Music and Berlin-based Smoke and Echoes. 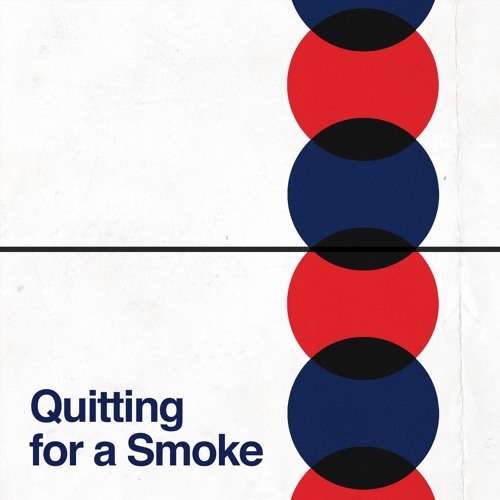 ‘Quitting For A Smoke’ is the second of a string of singles the band will put out in advance of the release of their debut album, expected early 2019. Late 2018 will see two double bill NL tours, with Canshaker Pi and The Hazzah.